Louisiana’s hot, humid southern climate can make greenhouse gardening tricky -- especially in the summer. In the South, greenhouses are used not only to protect garden plants from the cold, but also to keep water-sensitive plants from drowning in summer rains. The combination of a long, hot growing season and high humidity means that orientation, temperature and humidity must be taken into account before the greenhouse is built. Greenhouses can be either free-standing or constructed against the wall of the house. Free-standing greenhouses don’t benefit from the cold protection and heat bank of the side of the house, but this is not as great a concern in the moderate temperatures of coastal Louisiana. In the northern regions of the state (especially in wind-swept plains), consider building the greenhouse against the south side of the house. A greenhouse on the south side of the house will get the most light during the long winter, but will also be at the hottest part of the house during the summer. On the east-facing wall, a greenhouse will get less sun but still be protected from north winds and the worst of the late-afternoon summer heat. If the wall of the house and the surfaces within the greenhouse are painted white, more light will reflect back to the plants. 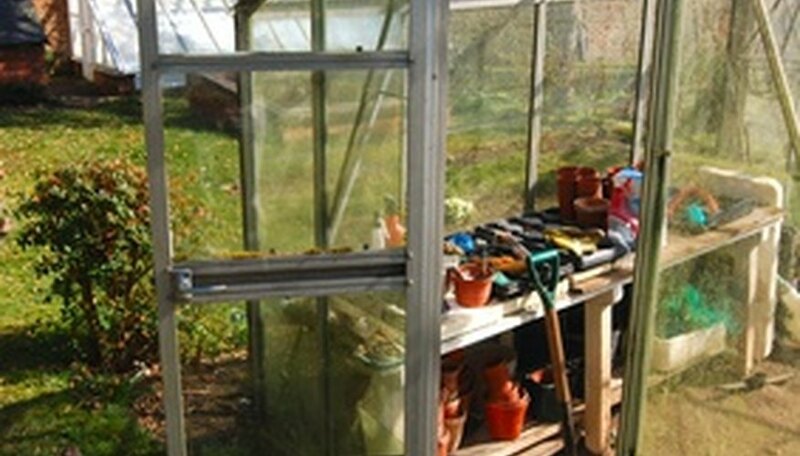 Glass greenhouses do a better job of trapping heat inside the greenhouse. But this may not be desirable, given that summers are much longer and hotter in Louisiana than in northern states. Films provide a moderate amount of heat retention for the plants during the winter but keep the greenhouse environment cooler in the summer. Cooling the greenhouse with fans and openings for breezeways during the summer may keep the temperature tolerable for tropical plants and the gardener. Greenhouses in the South are used more often for growing vegetables and flowers out of season, as well as getting a jump start on planting seeds for the coming spring. As such, they are temporary shelters for plants. Trying to keep plants in the greenhouse during a hot summer can be expensive because of cooling and watering costs. Remember that you don’t have the benefit of rains to help you with the watering chores inside a greenhouse. Since the air in the Gulf Coast region is consistently humid, fungal disease can be a recurring problem in the greenhouse. As the warm, humid air in the greenhouse cools in the evening, it condenses on the leaves of your plants -- a perfect situation for fungal spores to make their home on your plants. Since fungicides aren’t always practical or desirable, provide ventilation with fans to keep air circulating across the leaves of the plants, drying up that condensation. If you use a heat source during the winter, turn it on before the sun goes down.